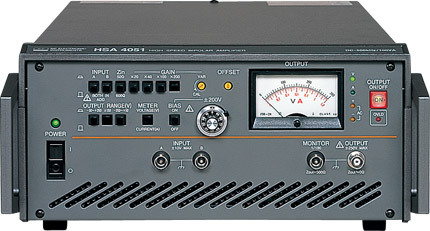 The NF BA Series High Speed Power Amplifiers handle DC to 50MHz (max.) 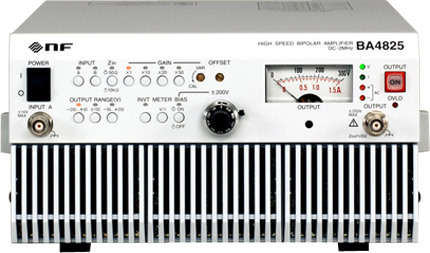 signals and output broadband, high speed and high voltage (300Vp-p max) bipolar (both positive and negative polarities) outputs. While ordinary DC power supplies only supply one-way currents, the BA Series supply (source) and absorb (sink) currents, and handle positive and negative voltages as well, because they operate across all four quadrants. Nowadays the BA Series are widely used in various applications.